After reading Nicole Brossard’s ‘Yesterday, at the Hotel Clarendon’, I thought of exploring more works by French-Canadian authors when Caroline from Beauty is a Sleeping Cat recommended ‘The Mark of the Angel’. I got it recently and finished reading it today. Here is what I think. I liked ‘The Mark of the Angel’. Nancy Huston’s prose is very conversational and in many places she talks to the reader directly while telling the story. It is like sitting in front of the fire on a winter night, listening to a story told by our favourite aunt. There is also a gentle sense of humour throughout the book, even when it talks about serious topics like war, the holocaust, violence and death. Saffie is a fascinating character and her detachment from the world and the weight of sadness that she seemed to carry in her heart made me fall in love with her. When Saffie meets András and falls in love with him and opens up to him and her heart starts blooming like a flower, one can’t help but feel happy for her. Even though one is worried about the consequences and one fears whether their love will survive the situation and the damning revelations that follow. I liked most of the characters in the story – there were no good and bad ones, but most of them were normal people trying to find a little happiness and a little peace in the middle of a chaotic world. The book also portrays Paris of the ‘50s and ‘60s and the culture of those times quite well. I learnt a little bit about the Algerian issue of the ‘50s and ‘60s after reading this book – it didn’t show the French in good light. The way the books weaves the stories of Saffie, András, Emil and Raphael and the people in their lives with the story of the fight for Algerian independence and the way it shows how the weight of history changes and distorts individual lives is quite interesting. It also made me feel sad, because it showed how difficult it is to find happiness and freedom in the world, even if we try our best. I enjoyed reading ‘The Mark of the Angel’. I would love to read more of Nancy Huston’s books. I will leave you with some of my favourite passages from the book. For the first time in his life, he feels that beauty and necessity are converging in his heart, as they do in a Bach fugue. Raphael plays the flute. His playing is getting better by the day, as anguish has come to lend added complexity to his ingenuous, overly optimistic nature – enhancing rather than supplanting his mad love, slipping into the interstices of his music and giving it new shades, denser and more subtle shades than ever before. In the adagio movements in particular, every note he produces is like the shimmering surface of a pond beneath which dark treasures lurk. Yes, adultery can give you wings. As a general rule, the flight is brief and the fall brutal. And yet, watching the young woman move off towards the Seine with her pram, Mademoiselle Blanche’s heart warms in spite of herself. It’s not easy to advise caution to a person in the thrall of such blatant happiness. All you can do is hope the damage will be limited. In every tale of passion there comes a turning point. It can happen sooner or later but as a rule it happens fairly soon. The vast majority of couples miss the curve and go careening off the road, flip over and crash into a wall, their wheels spinning madly in the air. The reason for this is simple. Contrary to what you’d believed during the first hours, the first days, at most the first months, of the enchantment, the person you love hasn’t radically transformed you. When you miss the turn, the wall you run into is the wall of your Self. Yes, there it is again – every bit as nasty, as petty and as mediocre as it was before. You haven’t been magically healed. Your wounds are still raw. Your nightmares begin again. And you’re filled with rage at the other person – because, as it turns out, you haven’t undergone a metamorphosis, love hasn’t solved all life’s problems, and you’re not floating ecstatically heavenward – but rather, as usual, pulling your own weight down here on Earth. Have you read Nancy Huston’s ‘The Mark of the Angel’? What do you think about it? I read Barbara Kingsolver’s ‘Prodigal Summer’ last year and liked it very much. I had wanted to read other books by her since that time. When I discovered that she has come out with a new book, I couldn’t resist getting it. I finished reading ‘Flight Behavior’ yesterday and here is what I think. ‘Flight Behavior’ is about a farm wife, Dellarobia, and her life. Dellarobia lives near the mountains alongwith her husband and works in the farm of her in-laws. When she was in high school, she had wanted to go to college, but she got pregnant and so got married to Cub. Unfortunately, her child is stillborn, but she stays married to Cub and later has a son, Preston, and a daughter, Cordie. She is not very happy with her life though she loves her children. She likes her husband, but she feels that she and her husband are different in many ways and her parents-in-law aren’t really nice to her. One day, to escape from her dreary life, she drives up the mountain to meet a young man and have an affair with him, unmindful of the consequences (It is the first scene in the story. The first sentence in the book is a beautiful, trademark Barbara Kingsolver first sentence – “A certain feeling comes from throwing your good life away, and it is one part rapture.”). When she reaches the top, she sees a glorious sight. The valley seems to be filled with a lake of fire. Dellarobia is astounded and she thinks this is a sign. She comes back home without meeting the young man. Meanwhile her father-in-law signs a contract with a logging company to cut down the trees in the mountain. When his family protests, he refuses to listen to them. Dellarobia tells her husband to first checkout the mountain before deciding to cut the trees. The whole family goes up the mountain. And they see what Dellarobia had seen earlier. The only difference is that the scene is not a lake of fire. It is an ocean of monarch butterflies – millions and millions of them – which give that illusion. Soon everyone in the town is talking about how Dellarobia had this vision. TV channels arrive for her interview. A scientist comes with his assistants and starts research. Dellarobia becomes friends with him and after a while gets to work in his team. She discovers that the presence of so many monarch butterflies is not a good sign. It is probably because of global warming which might lead to the extinction of this butterfly species. What happens next – to the butterfly species and to Dellarobia – forms the rest of the story. ‘Flight Behavior’ is an interesting story which deals with two themes – the travails of a farm wife and the issue of climate change. Barbara Kingsolver blends the particular and the general quite well and weaves these two diverse strands into a beautiful whole – while one strand of the story depicts how the monarch butterfly faces challenges posed by the environment and tries to adapt to change, the second strand shows how Dellarobia faces the challenges posed by her restraining circumstances and how she adapts herself to face them and overcome them. Though climate change plays an important part in the book, I think what stands out in the story is the travails of the farm wife – how Dellarobia is talented but she is restrained by her circumstances which stunt her from growing as a person and prevent her talents from flowering. There are no ‘bad guys’ in the story who are preventing her from realizing her potential – it is just the way things are. The trademark Barbara Kingsolver sentences keep appearing throughout the book. The farming parts of the story are described in detail. One of my favourite scenes in the book is the one where a ewe gives birth to a baby sheep which seems to be stillborn and Dellarobia revives it and get it to breathe. Small town scenes are painted beautifully throughout the book – like getting children ready for the school bus in the morning, shopping at a second hand goods store, going to church on Sundays, how neighbours influence each other and intrude into each other’s lives, how the local pastor plays an influential role in the lives of people. When I read ‘Flight Behavior’ I couldn’t resist comparing it with ‘Prodigal Summer’. Both of them have some common themes – preservation of wild life, life of a farm wife, in-law trouble, small town issues. ‘Flight Behavior’ had a traditional, straightforward story with a beginning, a middle and an end with one main heroine unlike ‘Prodigal Summer’. However, I felt that Kingsolver’s prose in ‘Prodigal Summer’ was more beautiful. There were many beautiful lines and passages in ‘Flight Behavior’ but the focus was more on the story rather than on the beautiful sentences. However, for some reason, inspite of the focus on the story, the pages moved very slowly and it took me quite a while to finish the book. Also, in ‘Prodigal Summer’ the coyote and the luna moth were more like characters in the story, while in ‘Flight Behavior’ I didn’t feel the same way about the monarch butterfly. Maybe because there were millions of them out there in the valley, I didn’t really fall in love with them, though I liked their story. I found ‘Flight Behavior’ quite interesting. It was a slow-read for me, but I liked the stories and the characters and the family scenes and the themes that the book addressed. 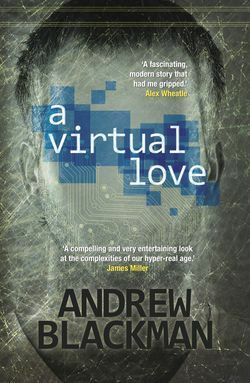 It has been shortlisted for the Orange prize this year and it will be interesting to track its progress there. The way he closed his fingers in a bracelet around her ankles and wrists marveling at her smallness, gave her the dimensions of an expensive jewel rather than an inconsequential adult. People automatically estimate a mom’s IQ at around her children’s ages, maybe dividing by the number of kids, rounding up to the nearest pajama size. Having children was not like people said. Forget training them in your footsteps; the minute they put down the teething ring and found the Internet, you were useless as a source of anything but shoes and a winter coat. It was hard to feel the remotest sympathy for any of the different fools she had been. As opposed to the fool she was probably being now. People hang on for dear life to that one, she thought : the fool they are right now. 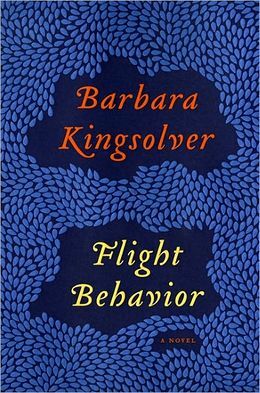 Have you read Barbara Kingsolver’s ‘Flight Behavior’? What do you think about it?